Mira simulations also allowed researchers to look beyond the current study by virtually testing other potential catalysts (other metals and hydrocarbons in coatings and oils) for their “self-healing” properties in a high-temperature, high-pressure engine environment. Large-scale reactive molecular dynamics simulations carried out on the Mira supercomputer at the Argonne Leadership Computing Facility, along with experiments conducted by researchers in Argonne’s Energy Systems Division, enabled the design of a “self-healing,” anti-wear coating that dramatically reduces friction and related degradation in engines and moving machinery. Now, the computational work advanced for this purpose is being used to identify the friction-fighting potential of other catalysts. 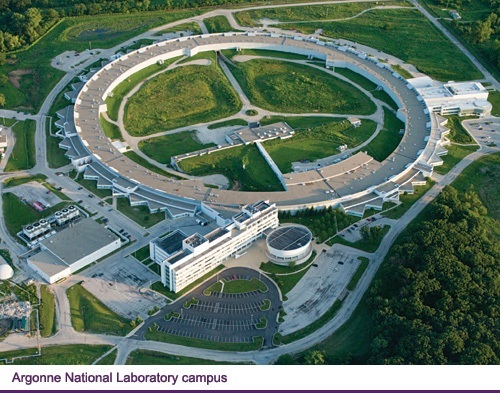 The tribologists – scientists who study friction, wear and lubrication – and computational materials scientists at the U.S. Department of Energy’s (DOE) Argonne National Laboratory will probably never be mistaken for superheroes. However, they recently applied the same principles and discovered a revolutionary diamond-like film of their own that is generated by the heat and pressure typical of an automotive engine. The discovery of this ultra-durable, self-lubricating tribofilm – a film that forms between moving surfaces – was first reported today in the journal Nature. It could have profound implications for the efficiency and durability of future engines and other moving metal parts that can be made to develop self-healing, diamond-like carbon (DLC) tribofilms. Using the LAMMPS (Large-scale Atomic/Molecular Massively Parallel Simulator) code, Sankaranarayanan and Narayanan modeled as many as two million atoms per simulation, making this one of the few atomistic studies of friction — of any kind, not just tribocatalysis — at this scale. Millions of time steps per simulation enabled researchers to identify the initial catalytic processes that occur within nanoseconds of machine operation and cannot be readily observed under experimental conditions. “Tribology has traditionally been an applied field, but the advent of supercomputers like Mira is now allowing us to gain fundamental insights into the complex reactions that are at play at the tribological interfaces,” Sankaranarayanan said. “This study has profound implications for pushing the frontiers of atomistic modeling towards rapid, predictive design and discovery of next-generation, anti-wear lubricants,” Narayanan said. With the help of ALCF staff in 2015, a team of domain and computational scientists worked to improve LAMMPS performance. The improvements targeted several parts of the code, including the ReaxFF module, an add-on package used to model the chemical reactions occurring in the system. In collaboration with researchers from IBM, Lawrence Berkeley National Laboratory (LBNL), and Sandia National Laboratories, ALCF optimized LAMMPS by replacing Message Passing Interface (MPI) point-to-point communication with MPI collectives in key algorithms, making use of MPI I/O, and adding OpenMP threading to the ReaxFF module. These enhancements doubled the code’s performance. Contributors to the code optimization work included Paul Coffman, Wei Jiang, Chris Knight, and Nichols A. Romero from the ALCF; Hasan Metin Aktulga from LBNL (now at Michigan State University); and Tzu-Ray Shan from Sandia (now at Materials Design, Inc.). The implications of the new tribofilm for efficiency and reliability of engines are huge. Manufacturers already use many different types of coatings – some developed at Argonne – for metal parts in engines and other applications. The problem is those coatings are expensive and difficult to apply, and once they are in use, they only last until the coating wears through. The new catalyst allows the tribofilm to be continually renewed during operation. The results are published in Nature in a study titled Carbon-based Tribofilms from Lubricating Oils. The research was funded by DOE’s Office of Energy Efficiency & Renewable Energy. The team also includes microscopy expert Yifeng Liao and computational scientist Ganesh Kamath. Supernova in Messier 101 2011 Image credit: NASA / Swift. At the end of their life cycles, these massive stars explode in spectacular fashion, scattering their guts — which consist of carbon, iron and basically all other natural elements — across the cosmos. These elements go on to form new stars, solar systems and everything else in the universe — including the building blocks for life on Earth. To shed light on this complex phenomenon, Couch is leading an effort to use Mira, the Argonne Leadership Computing Facility’s (ALCF’s) 10-petaflops supercomputer, to carry out some of the largest and most detailed three-dimensional (3-D) simulations ever performed of core-collapse supernovas. 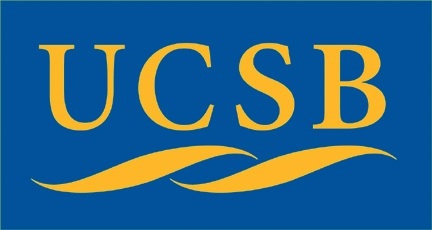 The ALCF is a U.S. Department of Energy (DOE) Office of Science User Facility. 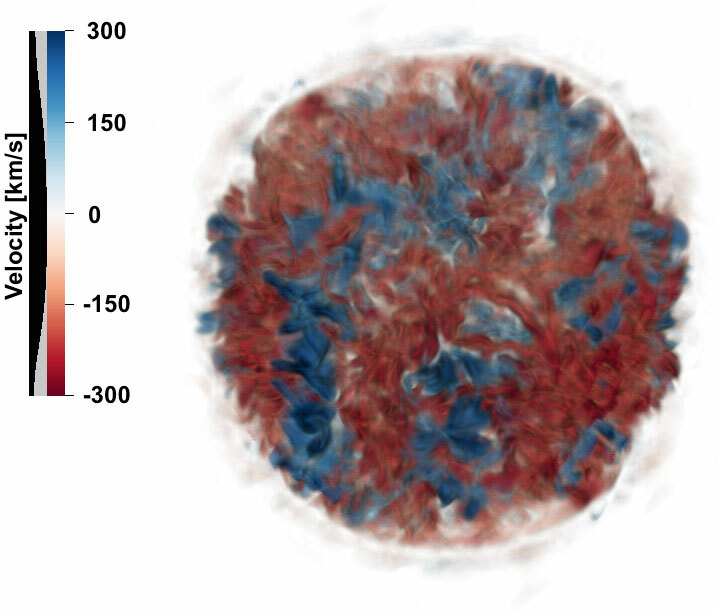 Despite the fact that stars rotate, have magnetic fields and are not perfect spheres, most one- and two-dimensional supernova simulations to date have modeled nonrotating, nonmagnetic, spherically symmetrical stars. 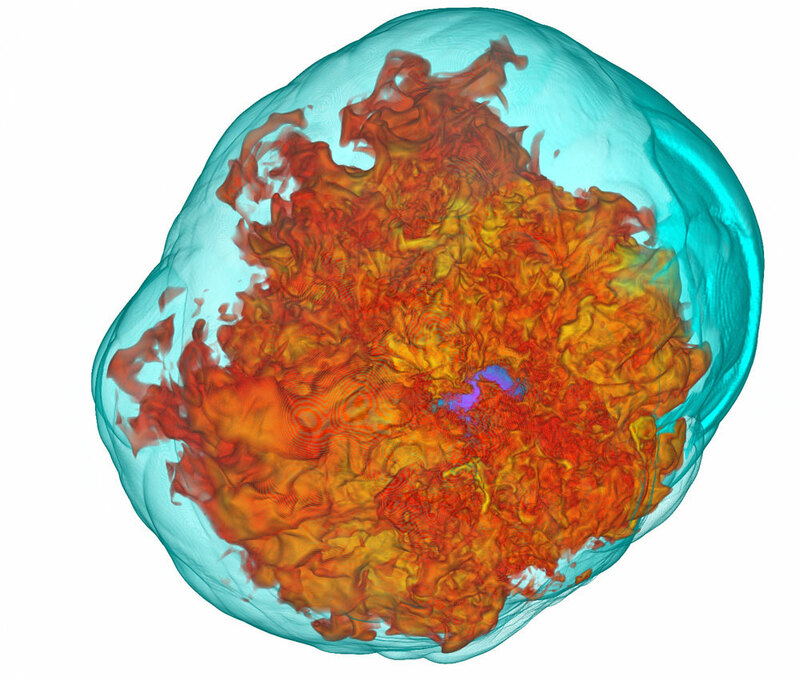 Scientists were forced to take this simplified approach because modeling supernovas is an extremely computationally demanding task. Such simulations involve highly complex multiphysics calculations and extreme timescales: the stars evolve over millions of years, yet the supernova mechanism occurs in a second. According to Couch, working with unrealistic initial conditions has led to difficulties in triggering robust and consistent explosions in simulations — a long-standing challenge in computational astrophysics. The team’s results were published in Astrophysical Journal Letters in a 2015 paper titled The Three-Dimensional Evolution to Core Collapse of a Massive Star. The study also used computing resources at the Texas Advanced Computing Center at the University of Texas at Austin. Couch’s supernova research began at the ALCF with a Director’s Discretionary award and now continues with computing time awarded through DOE’s Innovative and Novel Computational Impact on Theory and Experiment (INCITE) program. This work is being funded by the DOE Office of Science (Advanced Scientific Computing Research) and the National Science Foundation.